Mario Bava, cinematographer and director, brings the world a compelling piece of Gothic horror that captures the atmosphere and styling of the classic horror of the nineteen thirties and forties in this his first credited directorial role. With incredible composition, set design, location and the use of light and shadow Black Sunday a true masterpiece. While the influence of Universal horror is evident the film is at times a little more gory than it's relatively bloodless fore bearers. 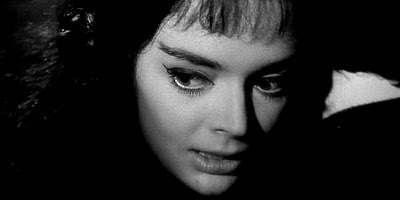 The incredibly beautiful and talented Barbara Steele gets to play roles of both good and evil as a vengeful witch and her God fearing descendant working on a day to day basis from a script for which she had no avanced copy. The Mask Of Satan was based on the Russian short story entitled The Viy by Nikolai Gogol. Despite grossing 139,000,000 lira the film proved to much for the British Board Of Film Classification and it was rejected for release in British cinema. Bava would later go on to direct The Girl Who Knew Too Much, a homage to Hitchcock and the prototype for what was to become the prolific giallo genre. Black Sunday is a truly unmissable slice of classic Italian horror cinema.